How Cannabis Benefits the Country through tax revenue, job creation, and much more! The state and local taxes that are implemented with the sale of legal cannabis, helps improve communities. Creating a legal cannabis market is something that could raise the standard of living for millions of Americans across the country. In states where cannabis is legal, government officials are allocating funds to reduce crime, protect the environment, help the homeless, support health care, and fund law enforcement. Today, 30 states, plus DC, allow medical or recreational sales of cannabis. The legal industry is comprised of mostly small businesses, very much like Nice Guys Delivery, where 10 individuals are employed full-time from our local community. There are between 125,000 – 160,000 people working full time in the legal cannabis industry, and according to MJBizDaily by 2022 there could be upwards to 340,000 full time workers across the country. Alaska passed a bill which uses half the proceeds received from excise taxes to improve programs intended to reduce the number of repeat criminal offenders. California is planning to use a portion of its tax revenue to fund its environmental restoration programs. Colorado uses some of the funds from the “Marijuana Tax Cash Fund,” to help establish permanent supportive housing and general assistance for homeless and “at-risk” individuals in the state. In the state of Washington, they’ve implemented a strategy to use the tax revenue generated from recreational sales to pay for the state’s public health programs, including Medicaid. Oregon uses tax revenue gained from cannabis to support law enforcement. In 2017, the legal industry in the United States pulled in nearly $9 billion in tax revenue. Some projections for 2018 are as high as $10 billion, and revenue is expected to reach $22 billion by 2022. Cannabis across the United States comes with a lot of stigma. People think “pot-smokers” are lazy and often times criminals, causing a push from the legal industry to paint a better image of cannabis-users. Much of this approach is done through community service efforts. For example, in March of last year we hosted a beach clean-up in Marin County at Stinson Beach, where a handful of us joined together and cleaned the beach for a couple of hours. Another example, Bloom farms, a company pledging to donate 1 meal to a food-insecure family or individual in need for every Bloom farm product purchased, has already donated over 1 million meals to families in need. Bloom Farms 1-For-1 Program has donated over 1 Million meals and counting! The above examples are just two of the unique ways legal businesses are using their resources to improve the lives of their communities. We’re also beginning to see new wellness practices pop up like ganja yoga, cannabis fitness hikes, and other meditative practices that are aimed at improving the well-being of individuals. It’s an exciting time in history and we believe the benefits of a legal market positively impact our society on a local, state, and national level. 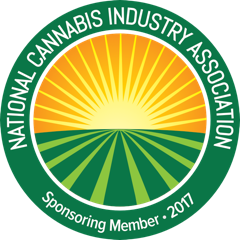 What are your thoughts on a nationally regulated cannabis industry? Do you believe the pros outweigh the cons? If not, we’d love to hear your thoughts by sending an email to dan@niceguysdelivery.com While you’re at it follow us on Social Media where we’re ending cannabis stigma through promoting an active and adventurous lifestyle!